Also, known as The Amba Vilas Palace, the Mysore Palace is a state of art monument and is at the centre of attraction during the famous 10-day Dasara festival. It is one of the famous 7 palaces of Mysore. Located on top of the Chamundi Hills at a height of 1000m, The Chamundeshwari Temple was always treated with kindness by the rulers of Mysore. It is named after The Goddess Chamundeshwari and serves as a symbol of victory of good over evil. A treat for eyes, the Sand Sculpture Museum is a landmark of excellent Sand Work. The museum has lots of visual attraction including Sculptures of Lord Ganesha and Tom & Jerry. Located on the banks of River Kaveri, Brindavan Gardens are paid a visit by around 2 million visitors every year. Near the gardens is another place of attraction the Krishna Raja Sagara Dam. The historic Chennakesava Temple is located on the outskirts of Mysore. It is believed to be built around 1200 CE. The largest centre of one of the four major schools of Tibetian Buddhism, Nyingma, the famous monastery was built in the year 1963. The monastery houses around 5000 Buddhist Lamas. 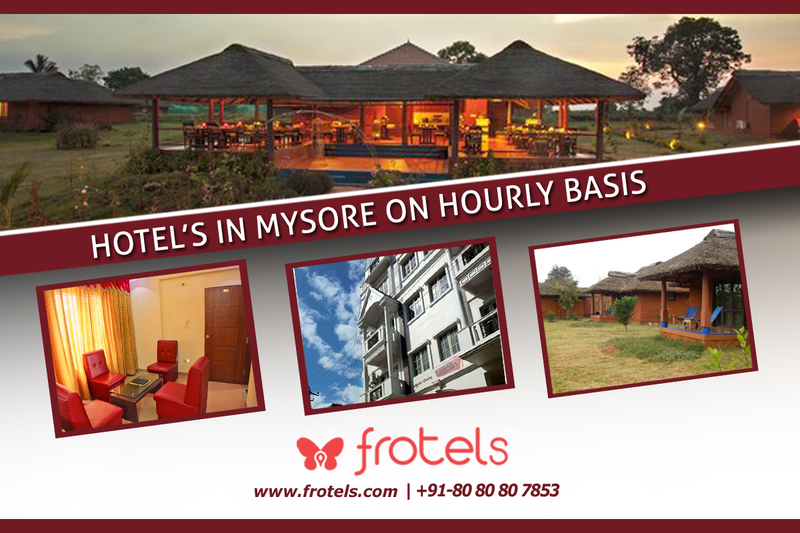 The beautiful city of Mysore is full of more such attractions and is best experienced by booking Hourly Hotels by using Frotels.